Since this past August, I’ve been playing Magic: the Gathering Arena in their closed beta both on my own and streaming on my Twitch channel at geekingoutabout. I’m not that great of a player, so when I finally won my first game of Momir Basic, I thought it was good enough to create a video about it. Learning how to play Momir Basic on MTG Arena lead to many nice moments. If you’re interested in learning more about this newest iteration of Magic, you can read this article I wrote for Twin Cities Geek and download the game for yourself at the Arena website. Official Blurb: For one year, crime-torn New York City has been at the mercy of someone hell-bent on destruction and chaos. Waking up on a stormy rooftop, you learn that this someone was you. At least, the heinous acts were carried out by your body, possessed by an angry demon that’s now loose in the city that never sleeps. 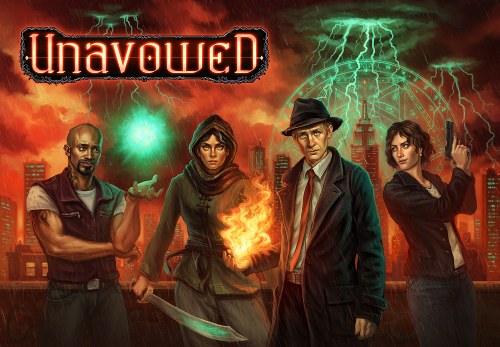 The only force that can stop it is the Unavowed, a centuries old supernatural crime-fighting troupe that takes down evil in the shadows—and you are their newest member. Pros: Voice acting is top-notch and all of the diverse characters have depth and are more than just stereotypes. Cons: Some of the puzzles require a pixel hunt, and that can really take you out of the story. About four years ago, I worked as an administrative assistant for an indie video game publisher named Games Omniverse. Part of my job was to not only update all of the game design documents on the company’s internal wiki, but to write some articles for the company blog about games, specifically adventure games. 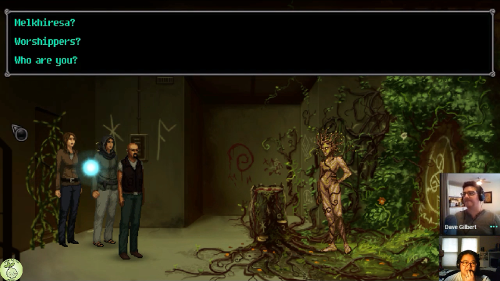 Writing those articles rekindled my love for adventure gaming, so when I was offered a review copy of Unavowed, the latest from Wadjet Eye Games, I jumped at the chance to not only review it, but to get an interview with its creator Dave Gilbert. All the show notes are under the jump. Better later than never, I say, and so shall you when you watch the this episode in our vidcast wherein I recap my Magic: the Gathering Dominaria prerelease experience and ask the question: When is a troll actually a troll? And here are the show notes! And now for the show notes! We’re pleased and proud to announce the debut of our new podcast/vidcast/streaming show/video magazine. Depending on how many spoons I have during the weekend, you should expect either this show or a vidcast version of “Geekly Speaking About” to show up here on the blog every Thursday morning, following a live stream on our Twitch channel called geekingoutabout. You can watch it here and then click the link to read the show notes. Before I dig into this retro (!) review, let me first explain something. See, back when I was in my early 20s in New York City, I had a day job where I entered DVD and VHS release information into a database that then got sold to companies who needed databases of information like this, like Tower Records. You remember record stores… right? 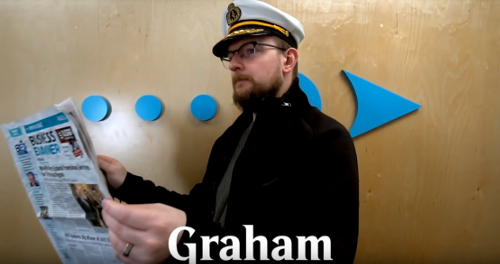 I’ve been watching the Rivals of Ixalan Pre-Pre-Release replay first on Twitch and later on YouTube over and over and I think that this is the best kind of marketing event for Magic: the Gathering that Wizards of the Coast ever fell backwards into. Why? 2. Their online chat mods do not tolerate trolls. At all. 3. Their online chat community also does not tolerate trolls. At all. It’s these last two parts that are perhaps the most important key to drawing new players into the game or convincing lapsed players that they should head back into their Local Gaming Store to attend the set’s actual pre-release and perhaps start playing Magic again. I know that’s how I felt back when LRR debuted this show starting with the Shadows of Innistrad Pre-Pre-Release. 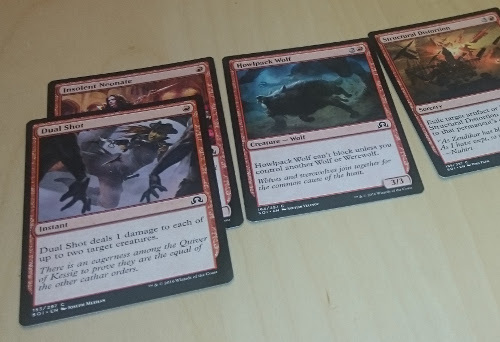 I went to my LGS the following Saturday and went 0-4 in back-to-back events. By watching the show, I could not only see some of the cards that were released in the visual spoiler, but I could get a sense of how to actually play with them in a live situation. Perhaps the biggest barrier for someone who’s on the fence on whether or not they’ll want to spend their money on a new game they haven’t seen is wanting to actually see what it’s like; the PPRs are perfect for that kind of demonstration, more so than Wizards‘ own Magic tournament streams. Because it’s partially produced by the company, there’s some sort of quality control. However, because LRR was first and foremost a sketch comedy troupe, it’s going to be entertaining. Best of all, because they actually play the game themselves, the way they speak and interact with the game is completely natural and not something that you’d get from any mainstream video content producer or marketing company. It’s a bit too late for me now to attend the Rivals prerelease because it’s happening this weekend. However, with the return to the game’s initial starting plane Dominaria this April, I may decide to dust off my card sleeves and see if I can actually win a round this time. After all, practice does make perfect. If there’s something I know about myself it’s that if I am really hooked into a show, I am not going to let anything silly like self-imposed deadlines and restraints keep me from watching as much or as little of it as I like. 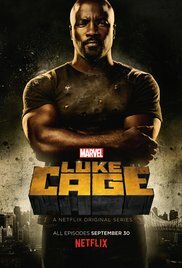 This explains why I watched all of the excellent and riveting first season of Jessica Jones series almost straight through and then took forever to finish the second season of Daredevil, finally throwing in the towel 26 minutes into the last episode because the story and all the characters annoyed me so much.